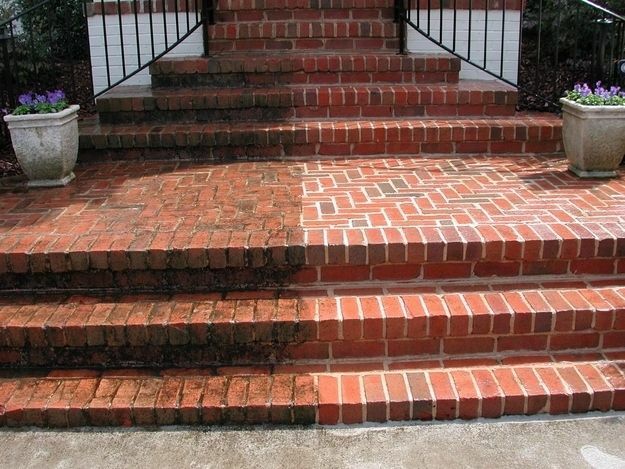 Powerwashing makes a noticeable difference! September means that the cold is on its way. Autumn is your last chance you have to repair and touch up the exterior of your home before freezing temperatures set in. There are a few repairs that are great to get done in the fall when you can still stay outdoors for longer periods of time. Some of these are great to get done now while the sun is still shining and some (like lawn care) can wait until all the leaves have fallen a bit later in the season. Either way, creating a home-repair schedule for the season is a great way to keep your task organized and not miss something important before winter. Lawn Care: Maybe not relevant now but have a plan of attack when it comes to autumn leaves. All you need to do is spend a bit of time raking the leaves away, using a leaf blower, or simply collecting them with a lawn mower. Your front yard will look infinitely cleaner in just an afternoon. Make a plan for those leaves to reduce waste! Consider using them in your autumn decor or plan out a compost pile for next season. Roof Repair: This one isn’t so much for show as it is for practicality. Before it even thinks of snowing you should make any repairs to your roof. Snow on a roof is dangerous, especially when it warms up and it begins to melt. Don’t risk a collapsed roof (something extremely hard to fix in the winter); fix any damage ahead of time. While you are thinking about the roof make sure you check your chimney and fireplace to make sure it is clean and ready for use. Power Washing: After the summer’s hot weather and mucky air your home may be a little less than squeaky clean. Mother Nature has never been a reliable cleaner. Rent, borrow, or buy a power washer and get to work! If your home is small you can get it done in an afternoon. If your home is large you might want to focus on the front first in case the sun goes down before you are finished. Make sure you get your deck or porch as well. This entry was posted in Blog, DIY, Seasonal and tagged diy, home. Bookmark the permalink.